Home » Regional Cinema » Half Yearly Report: Nivin Pauly, Dulquer Salmaan and Unni Mukundan delivered 2 hits each at Kerala Box Office! The Malayalam film industry produced around 60 movies in the first half of 2016. Earlier, Catch had reported that 2016's first quarter had been disappointing for the industry. However, thanks to six clean hits within the second quarter, the Malayalam industry made a good comeback in the first half of the year. Mollywood had one blockbuster, five super hits and hits, and four average movies to its credit in the first half of 2016. Vineeth Sreenivasan's Jacobinte Swargarajyam released on 8 April 2016. The film, starring Renji Panicker in the titular role of Jacob, is inspired by the life of a Dubai-based NRI businessman named Jacob Zachariah. The Nivin Pauly-starrer emerged the biggest success of 2016 by giving yet another blockbuster to the actor. The family entertainer also faced tough competition from Vijay's Theri, which released one week after the Malayalam film and the Hollywood fantasy adventure, The Jungle Book 3D. However, with its strong family content and terrific word-of-mouth, Noble Thomas' debut production venture overpowered both films at the Box Office. The film also marked the debuts of a number of fresh faces - including Ashwin Kumar, Reba John, Aima, and Stacen. Dileep's super hit film King Liar marked the return of the super hit writer duo Siddique-Lalafter a gap of 22 years. The film benefitted from the summer vacations in Kerala as families thronged theatres to catch their popular hero's film. At the end of its theatrical run, the comedy entertainer emerged the second biggest hit of the year. The film also starred Madonna Sebastian and model-turned-actress Natasha Suri. 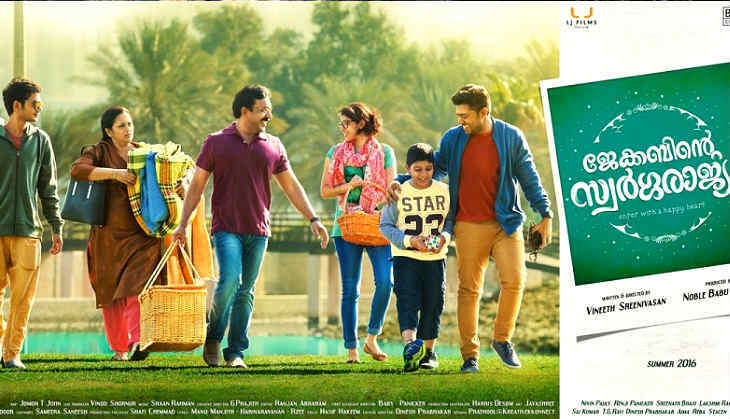 The film was Dileep's second big hit in a row after the 2015 Christmas blockbuster, Two Countries. Action Hero Biju released on 4 February with average collections during its opening week. The film was criticised with negative reviews from a section of people on social media. The negative reviews of the film affected its collections throughout the first week. However, the Nivin Pauly entertainer made a grand comeback at the Box Office and went on to become another hit for the actor. The Abrid Shine directorial was the debut production venture of the Premam actor. The song Muthe Ponne Pinangalley has gone viral on social media as well. Prithviraj continued his 2015 dream run at the Box Office with his first release of the year,Pavada, which went on to become the first super hit of the year. Released on 15 January 2016,Pavada opened to positive reviews all over. The film was the actor's fourth super hit movie in a row after Ennu Ninte Moideen, Amar Akbar Anthony, and Anarkali. The Marthandan directorial has been praised for Prithvi's terrific portrayal as drunkard Joy in the film. 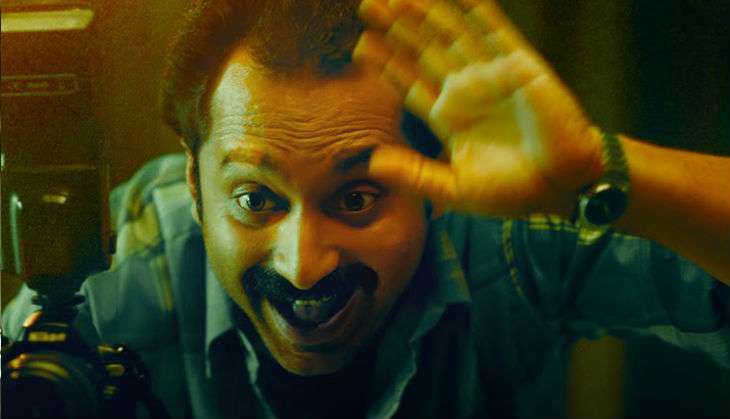 Maheshinte Prathikaram came without much expectations from actor Fahadh Faasil. However, the Aashiq Abu venture garnered unanimously positive reviews to become the biggest solo hit of Fahadh's career. The film was released at the same time as Nivin Pauly starrer, Action Hero Biju, and managed to give a tough competition for the Nivin Pauly starrer. The revenge drama was the directorial debut of actor Dileesh Pothan. The film has been highly praised for the performances of Fahadh, Aparna Balamurali, Alancier Lopez. and Soubin Shahir. Dulquer Salmaan starrer Kali created history by recording the highest opening day collections at the Malayalam Box Office by beating the record set by his previous film Charlie. The film also saw the highest opening weekend for a Malayalam film. 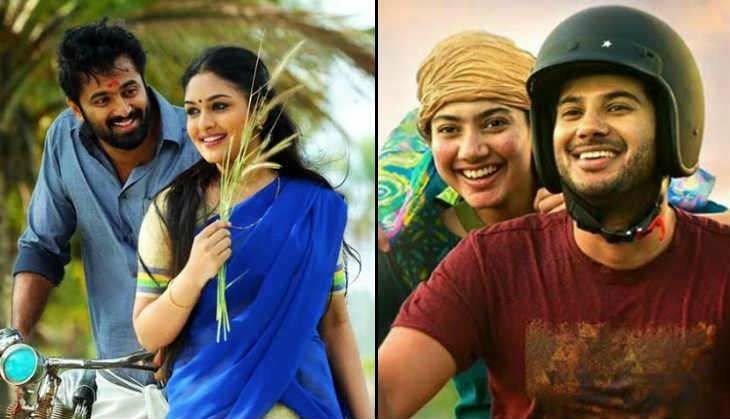 The fresh pairing of Dulquer Salmaan and Sai Pallavi,worked wonders for the film. However, the Sameer Thahir film struggled to carry the momentum after the first week with back to back big releases like King Liar and Jacobinte Swargarajyam. However, the record opening weekend helped the film to bag the super hit zone comfortably at the Box Office. Kammatipaadam was touted as one of the biggest films of the 2016. Directed by national award winner Rajeev Ravi, the action entertainer is set in Mumbai with Dulquer Salmaan playing the lead. The film was met with positive response all over Kerala, but the film struggled to meet its great expectations at the Box Office. Family audience was restricted thanks to the A rating due to the violence scenes and affected it's collections to some extend. The film was highly praised for its direction, P Balachandran's script, the realistic content, and performances of supporting actors Vunayakan and Manikandan. The film was Dulquer's second hit in a row after Kali. Nothing exceptional was expected from Jayaram's Aadupuliyattam as the actor was going through one of the toughest phases of his career. Surprisingly, Aadupuliyattam opened to an average occupancy at the Box Office and has outperformed the actor's last 10 releases. Despite releasing with Dulquer's Kammatipaadam, the horror film has managed to find good audience at the Box Office. The Kannan Thamarakkulam directorial also starred veteran Bollywood actor Om Puri and Baahubali actress Ramya Krishnan. After an above-average opening week, the film showed a strong hold over the next few weeks to become the surprise hit of the year. 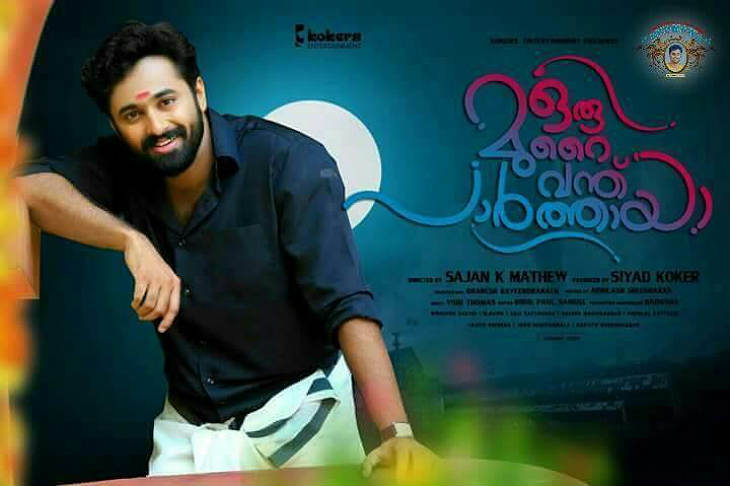 Unni Mukundan starrer Oru Murai Vanthu Parthaaya had to face tough competition fromYodhavu, Malayalam dubbed version of Allu Arjun starrer Sarrainodu and Kunchacko Bobab - Jayasurya starrer School Bus when it released on May 27 2016. But the film showed it's strength by showing good hold at the Box Office. The Sajan K Mathew debut directorial also marked the Malayalam debut of Pisasu fame, Prayaga Martin. The comedy entertainer was a litmus test for Unni Mukundan, who has carved a niche at the Kerala Box Office with his stellar performances in films that are heavy on action and romance. But the gamble paid off as the Mallu Singh actor's performance in the film has impressed the viewers and went on to become the last hit of first half of 2016. Malayalam industry started 2016 with a bang as the first release of the year, Unni Mukundan starrer Style, went on to become the first hit of the year. The action entertainer was directed by Ithihasa fame Binu S and also marked the acting debut of Mumbai based model Priyanka Kandwal. Just like Aadupuliyattam, Happy Wedding is touted as another surprise hit of the year. The comedy-entertainer was directed by debutant Omar. Happy Wedding starred thePremamsupporting actors Sharafudeen, Soubin Shahir, Siju Wilson, and Justin John in the lead roles. The smart marketing from the producers, Eros Enternationals and Ozone Productions has worked wonders for the film at the Box Office. Mammootty starrer Puthiya Niyamam, Prithviraj's Darwinte Parinamam, Friday Films' Mudhugauv and Late Rajesh Pillai's Vettah.